Half by bank transfer before the arrival of the hotel group. Rest arrval. 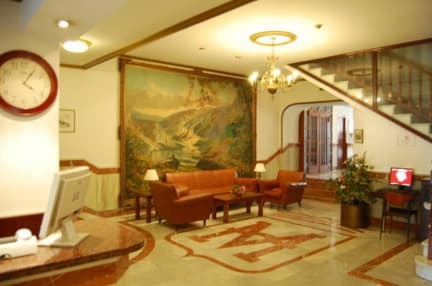 Situated next to Algeciras Harbour, Hotel Marina Victoria offers free Wi-Fi, a 24-hour reception and a terrace overlooking the city and sea. Each simple, air-conditioned room offers a flat-screen TV and private bathroom. Free public parking is available nearby, and buses to Tarifa stop directly outside the hotel. Staff at reception can also arrange excursions by boat to Tetouan and Tangier, in Morocco. Very helpfull staff, clean and a perfect location. I really recommend it, Saludos! Very friendly welcome. Clean. Basic rooms. Cheap and cheerful hotel conveniently located within walking distance to the ferry, bus and train. There are also restaurants and a supermarket within a few minutes. The facilities are basic but kept clean. Wifi is good throughout. A nice place to stay in Algeciras if you’re passing through. Located block from ferry dock and half block from Tourism Office. Clean, adequate rooms. Older hotel, refurbished. Food market nearby. Staff, including Flora, very attentive. Yep just a hotel but it works. Right near port & bus station, short stroll to main plaza. Slightly dodgy feel out front, a couple homeless and large groups of men glaring at passers by. Nothing fancy but fine for passing through algecirus. Only stay here for the location. Right across from the ferry to Tangier. 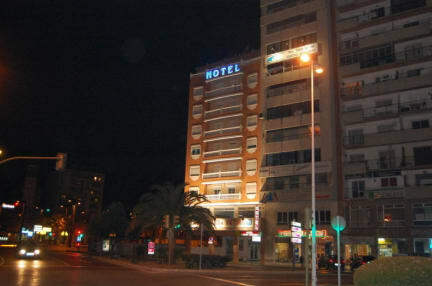 I stayed for one night after my day in Gibraltar because it was well priced, not hard to get to, and had decent ratings. First got in and found that my bed sheets were damp. I mean, at least they wash them, right? There were bits of old chips on the closet floor (where I hung up the sheets to dry). Towels had small rust colored stains scattered over them. Staff is polite my issue is with facility/amenities. In the end it’s a cheap spot for a bed and hot shower. Personally, would not stay again.